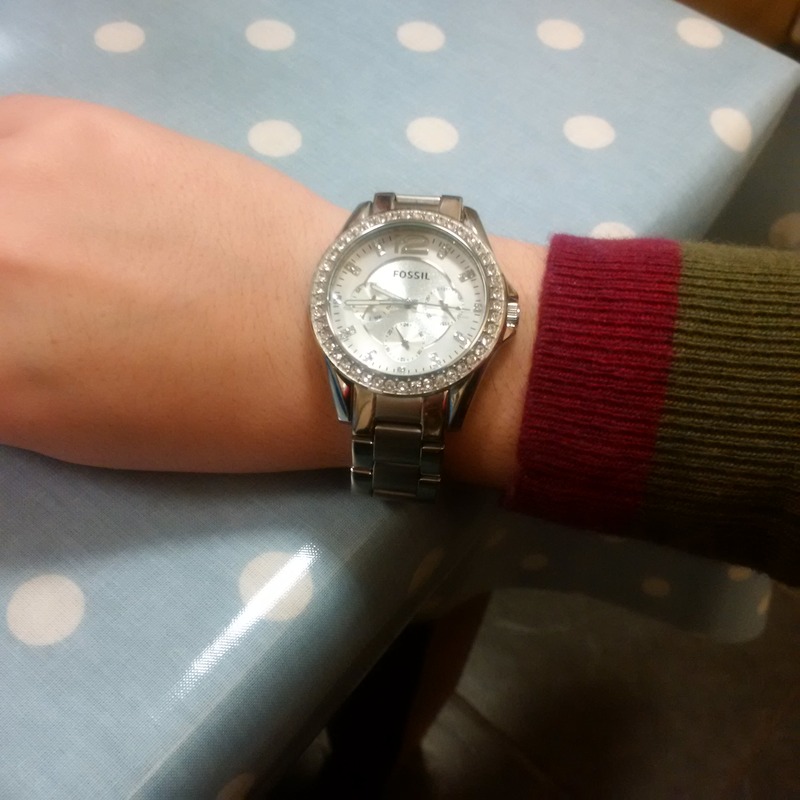 Lovely watch for my daughter, just enough bling and functional too. Im sure shell love it. 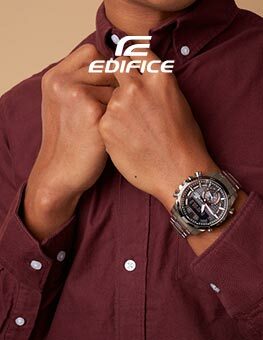 As for watch shop I cannot fault the service and efficiency, all my items arrived less than 24hours from point of order. Will definitely be using them again. Good quality and value for money. 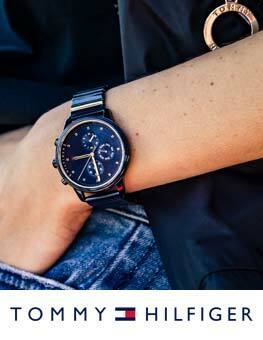 Looks really good on a petite womans arm as only a 38mm face. Very pretty watch, made a lovely gift for my girlfriend. The date feature is very pretty and the watch feels very solid. The detail is very good and hopefully itll last for a good few years, maybe even see a battery change if its looked after! I bought this watch as an Xmas gift to myself and I have to say I love it... had many compliments on it. Delivery was quick and I had it adjusted free of charge. 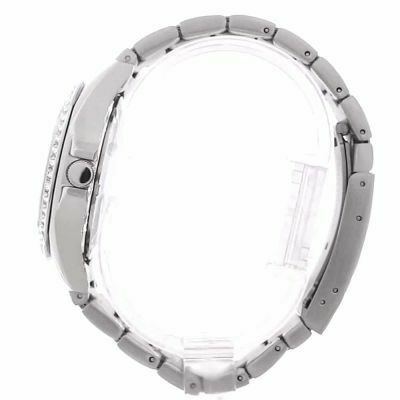 Solid feeling watch, with a large face, which I like. Nice product, as described. Fast delivery. Gift wrapping was a bit disappointing. Wrapping was like a white sheet of paper. Bought this watch as a present. 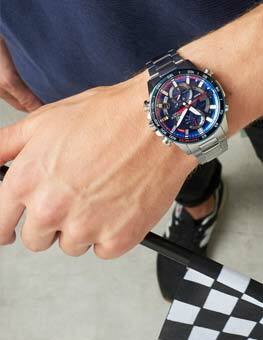 Its a lovely looking watch and would quite like one myself! Delivery time was OK. Email specified next day delivery but it arrived 3 days later. Overall though, very happy. Beautiful watch. I always wanted big watch like this one. They are so stylish and can be worn with almost anything and for any occasion. Would recommend! The watch I ordered come in the post very quickly and looks beautiful. It was easy to order and the gift wrapping I went for looked lovely. Unfortunately I did put in the special instructions to reduce the strap and this was not done, so had to take it to a jewellers so it could fit my girlfriends arm. Which cost me £8.50, which is not a lot but would have been nice if this was done so my girlfriend could have worn it straight away. However with that aside I am happy with this watch its not to big and clumpy and looks very modern and stylish. 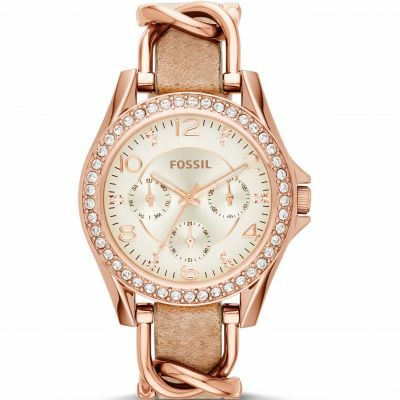 A beautiful, elegant Fossil watch. The image doesnt do it justice it simply sparkles and my wife loves it. Service 1st class, definitely use watch shop again. Bought for my birthday, just what I was looking for! Had the right amount of sparkle but not too much, but enough to wear as a dress watch. Love the two tone strap and the nifty catch! 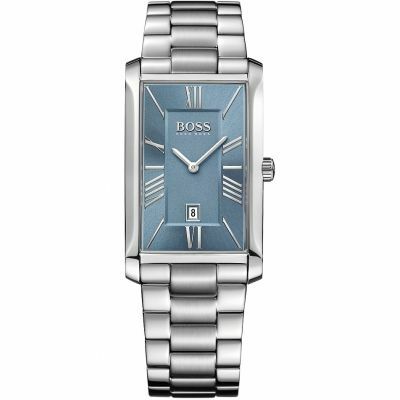 Fantastic price for a beautiful watch! I ordered both this one and the stella to see whicn i liked best...i ended up keeping both as both so lovely but in different ways...this more of a day watch but can be worn eveni g too and the stella i def kept for evening. Both look the part. Arrived next day too...v pleased. 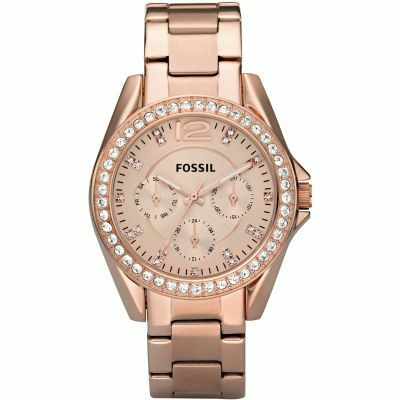 All I can say is Wow, what a beautiful watch, very stylish, looks much better on, just enough sparkle and glam without being OTT. I love the inner dials too, I was not sure about buying a watch online as I prefer to try watches on first but this purchase has exceeded all of my expectations. Came in a Fab retro box too. 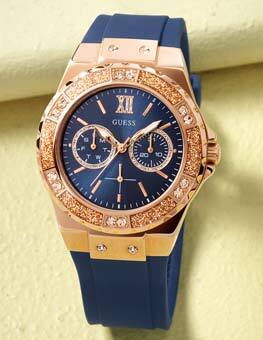 A great price for a fabulous watch, Dont hesitate in buying this watch you definitely wont be disappointed! I love my new watch.....It is really stylish and has received numerous comments and people asking where I got it from. Great quality product at a fantastic price. Was a gift for my sisters birthday and she loves it. Bought watch for a gift.. Was much nicer than the picture, also comes in a nice tin.. Very fast shipping , good price , very happy with the purchase. Christmas present for my daughter in law. She will love it as she has never had a watch befor. What a fabulous watch! Have purchased this as a gift for my daughter, and I know that she will just love, love, LOVE it. 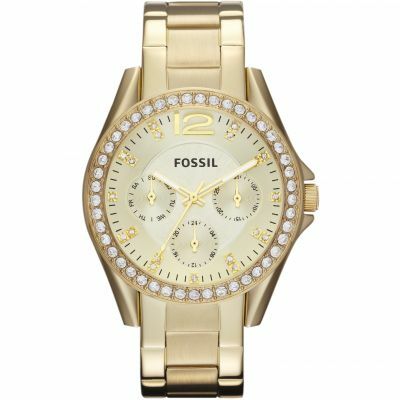 She wanted some bling, but nothing too ott, and the Fossil Riley certainly gives that. Top quality, exactly as described, and to top it off it was £40 cheaper than if I bought from a Fossil shop. I will definitely have one very excited young lady on Christmas Day. THANKS WATCH SHOP. A+. Am now looking to purchase one for my son from you.